Although flexible packaging companies have been looking for an effective way to reduce costs, and many companies have also proposed a full-cost, all-round, and full-process cost management model, in the actual operation of cost management, most companies focus their efforts a single control over production costs, ignoring the side of end-users. The service for end-users is not just a good after-sales service. It can help customers reduce production costs and improve profit margins on the basis of satisfying users` needs. Only in this way can the company become bigger and stronger, and let the company go farther away, fly higher. As a major supplier of packaging products for food industry, Lanker Pack attaches great importance to the quality of packaging products. We adopt strict standards in the selection of packaging materials. Due to the high demands for the food products in shelf life, displaying, processing, transportation and other production aspects factors, we need a brand-new technology that can provide superior barrier and transparency. Traditional foil film packaging can`t meet the requirements any more, and PVDC coated films have been vilified due to its problem to the environment. In cooperation with CMP Material company and trial and error, we found that using A-PET film packaging on food can significantly extend the shelf life and improve the appearance of the product. Good properties of printing and laminating. Eco-friendly, non-toxic and complied with FDA and EU on food safety regulation. The film can be widely used in food, processed meat products, condiments, caramel treats, coffee, snacks, pet food packaging, drinking, cosmetics and chemicals, vacuum packaging, etc. 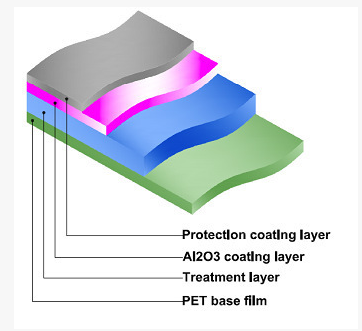 The superior barrier properties of A-PET also lead to the possibility of lowering material usage, which can reduce overall costs. Please contact us by sales@lankerpack.com for details.